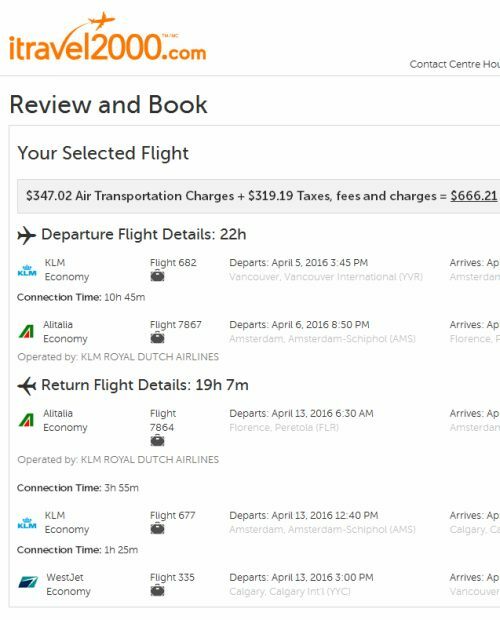 KLM and Alitalia are showing flights from Vancouver to Florence, Italy (FLR) as far away as April 2016 for just $667 CAD roundtrip including taxes. 2. Search for a flight from Vancouver (YVR) to Florence, Italy (FLR). Prices will adjust as certain dates sell out, so try different date combinations by clicking on 'Edit Your Search'. vancouver, yvr, flight deals, europe, western europe, klm, southern europe, italy, florence, flr, alitalia and tuscany. 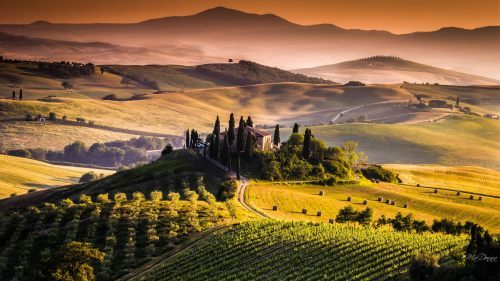 3 Responses to "Vancouver to Florence, Italy (aka Tuscany) - $667 CAD roundtrip including taxes"
When I travel, I go for one to six months. This deal is a great price, but it appears that a person has to come back very very quickly. Am I reading it wrongly? ARe there deals where I can select a departure and return date from a list of options that span months? Well, the deals span November to April, so I'm going to go ahead and say why not try entering dates within that range and see what happens? Whenever you see me mention that there is availability over a period of months, it's definitely worth trying date combinations that are longer (or shorter). There can potentially be thousands of different date combinations that will work, and listing them all would be impossible, so I just start people off with the best examples. Focus on flights that both depart and return on Mon/Tue/Wed/Thu to see what comes up.